There are many people who would like Britain to leave the European Union. But the question is rarely asked if Britain would be allowed to do so. In this booklet historian Rupert Matthews looks at previous multinational associations such as the League of Delos and the United States America. He traces how there is an inexorable tendency for powers to accrue to the centre and for the interests of the member states to be ignored. The associations that were formed voluntarily always react with violence when member states seek to leave. Rupert then looks at the current constitutional arrangements of the EU and shows how the EU Commission has taken to itself the legal powers to frustrate attempts at secession. Chillingly he outlines the legal powers that the EU Commission has to deploy military force into member states. We might yet see the panzers in Parliament Square. Rupert Matthews is an historian who has had more than 150 books published on a range of subjects. He stood for the Conservative Party in the European Elections of 2009 and in the General Election of 1997. Throughout history transnational associations of sovereign states have tended to change over time. Power usually shifts from the member states to the central authority. This central authority may be manipulated by the largest member state, or it may acquire a life of its own. In either case the centralised authority inevitably seeks to acquire powers to stop any member state from seceding from what is gradually becoming a unitary state. When a member state does attempt to secede the results are always unpleasant and frequently bloody. The EU is already exhibiting the key features to be expected from the historical parallels. It is accruing power to the centre. It is treating with disdain the rights and interests of the member states when these conflict with its own interests. We have seen how it subverts the democratically expressed will of the populations of member states as demonstrated in referenda. We have yet to see how the EU would respond to an attempt at secession. But the omens are not good. The EU has taken all the powers it needs to protract and complicate any attempt at secession. And it has acquired the legal powers it will need should it attempt to stop a secession by military force. Why does the EU want to have an army and the power to use it internally against the wishes of the member state concerned if not to stop secession? 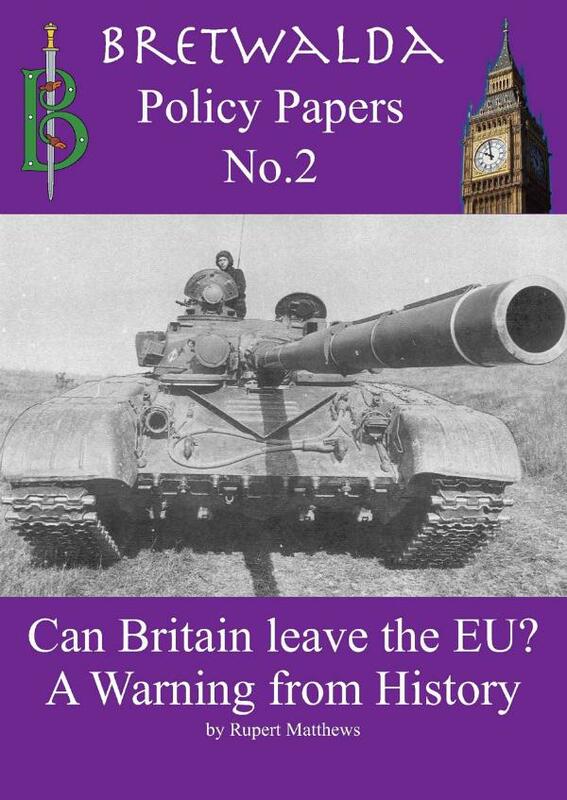 We might yet see the panzers in Parliament Square.